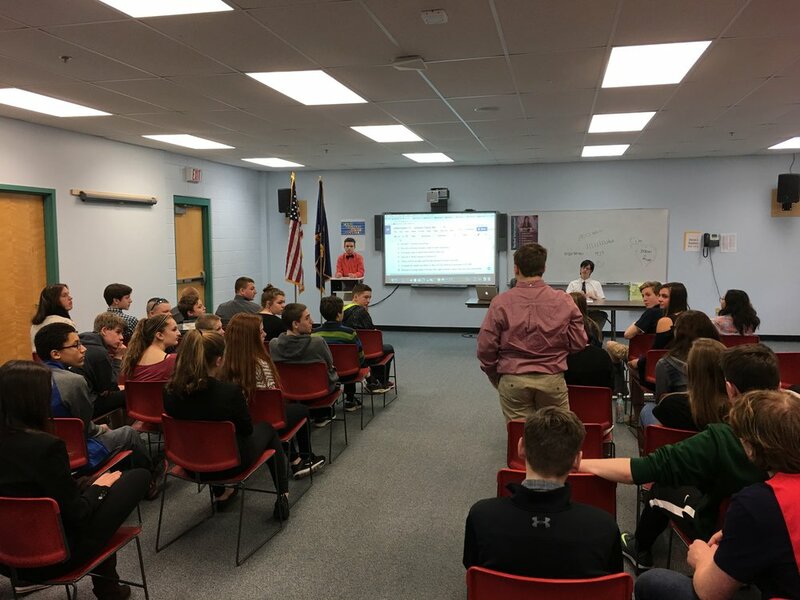 Windsor Middle School students welcomed partner students from the Lyme Middle School who have been working together as a Model Congress. Model Congress gives students the opportunity to engage in a role-playing simulation of the United States Congress. 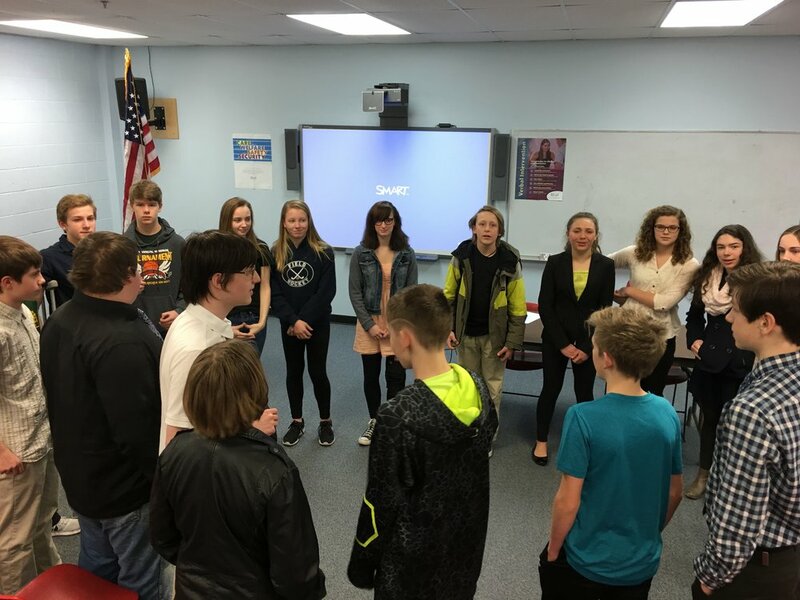 Windsor Schools' Middle School teachers, Chris Lord and Keighan Chapman, have been teaching their students about key periods in American History, including Governance.